Students from Coláiste Iognáid S.J., together with their science teachers` have achieved great success at the BT Young Scientist competition. 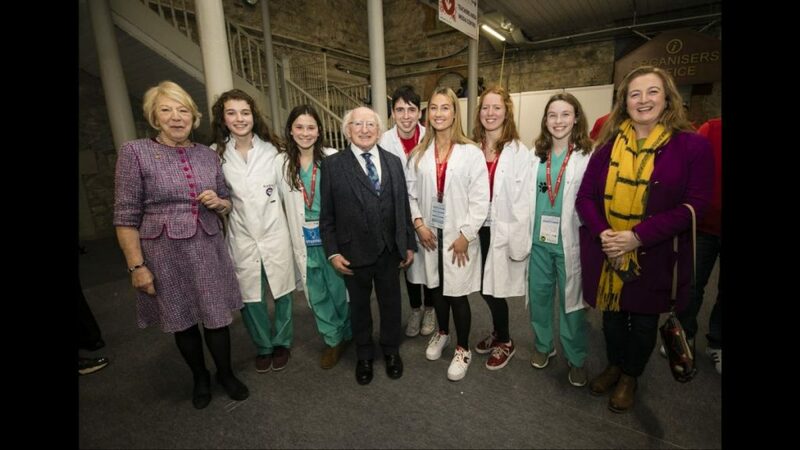 Held in the January in the RDS, Dublin over 4 days, the competition is a showcase for the creativity and innovation of Irish science students. With 4,000 applications and only 550 projects gaining successful entry, the Jes were delighted that 4 projects made the final cut. A huge amount of work was done by all, over many months and outside class time. The students had to present their work over the 4 days to Judges and to the interested public. The spectacular opening ceremony was opened by President Michael D. Higgins and his wife Sabina. The valuable exciting experience was enjoyed by all. 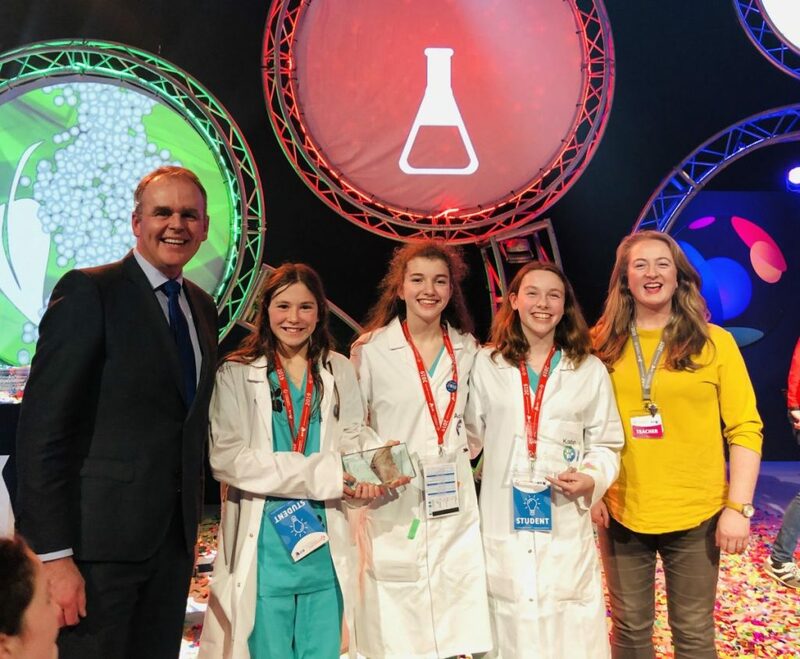 Second Year pupils, Ellie Concannon, Aoibhe Briscoe, and Kate Owens, mentored by their science teacher, Mrs Clodagh Mitchell, achieved First place in the Biological and Ecological junior category. Their project called “Paws-itively Dangerous” involved testing the level of Antibiotic resistance bacteria in domestic pets, as a proxy for humans, and found that 90% of pets were resistant. Surveys of Vets were also carried out to understand frequency of antibiotic prescriptions. The girls also won the overall William Lea Tag Award for best communication at the event. This is the second year in a row this team have picked up the honours, with their project on Micro Plastics in primary school drinking water, wining the junior Bio. Ecological category in 2018. 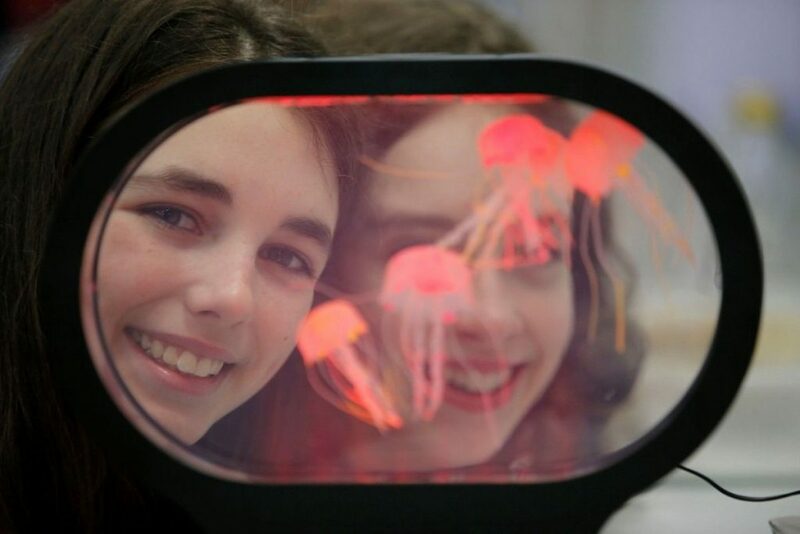 Ailbe Dooley and Aoife Waldron, also second year students here in the Jes, did their school proud with their intriguing project titled “Can Scientists Tame the Lions Mane” mentored by science teacher, Ms. Eimear Hennelly. The students researched the prevalence of this giant form of perilous jelly fish in Galway waters. They also investigated any possible benefits to harvesting their collagen protein to benefit human health. Eoin O Malley, Madeleine Mitchell and Roisin McGrath, 5th Year students in the Jes, were awarded a Highly commended rosette prize, in the Senior Biological and Ecological category. Their project title “Fools for fuels: Air pollution” was also mentored by science teacher, Mrs Clodagh Mitchell. They carried out extensive research on fossil fuels, Galway air quality and links with respiratory illnesses. 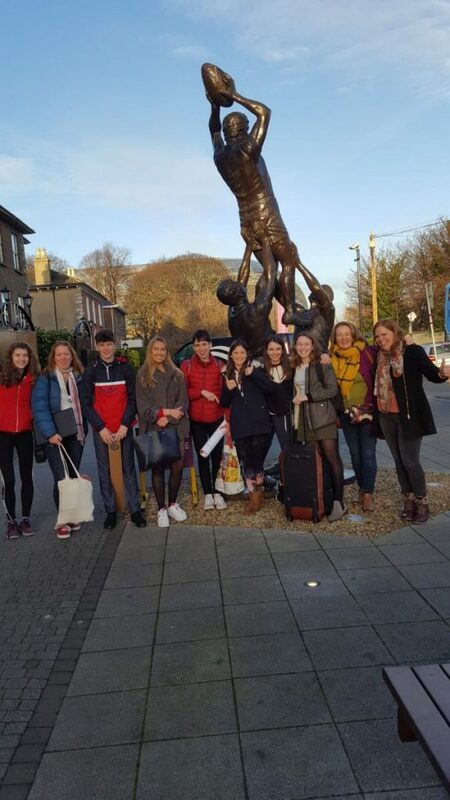 The students used stationary and portable air quality monitors, surveys and interviews to investigate levels of air pollution around Galway city. Their results showed that air pollution levels rise significantly between 5 and 8 pm daily. Their investigations showed clear evidence that burning fossil fuels such as Wood and turf, dramatically affect air quality. Their data also enabled them established a clear link between air pollution and Asthma. 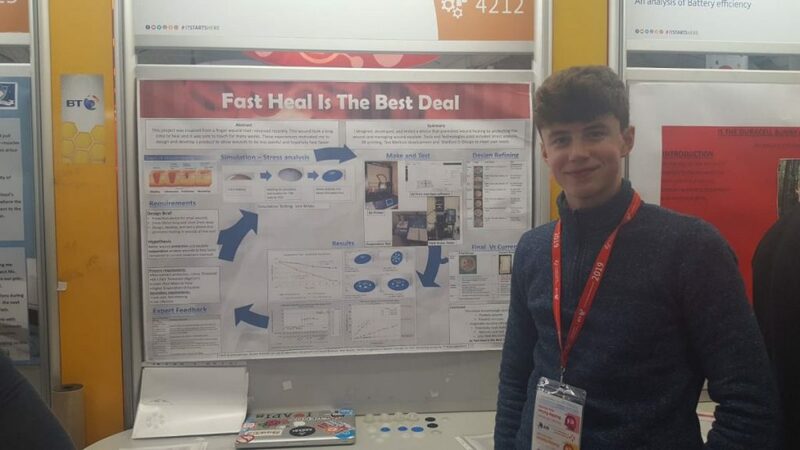 Huge congratulations also to Michael Hayes, who was awarded 2nd place in the Technology Category for intermediate cycle for his project “Fast Heal is the best deal” mentored by science teacher, Mr Paul Kilraine. Michael, a transition year student, seems to have been inspired by monitoring an old wound scar he acquired. He was also influenced from a work placement he did in Boston Scientific. He created a novel form of non-fabric based wound protection cover. All the students and science teachers involved would like to thank all those who supported us during the whole process. 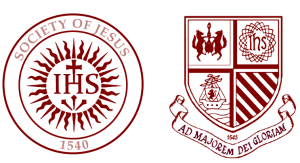 Many thanks to Fr Shane Daly S.J. and Mrs Catherine Hickey. Special thanks to all Parents and guardians. Much Appreciation to all those who gave interviews, lent equipment, participated in surveys: Briar Hill Veterinary Clinic, Ark Vets, NUIG Dr Liz Colman, Dr Colin O Dowd, Dr Dearbhaile Morris, Blathnaid Mahon, Sarah O Reilly CEO Asthma Ireland, Boston Scientific, E.P.A. “It was brilliant fun, I really enjoyed it” Kate Owens 2nd Yr.
“It was an amazing achievement for all students involved in BT Young Scientist. They really committed and worked hard on their projects. We are so proud of them! 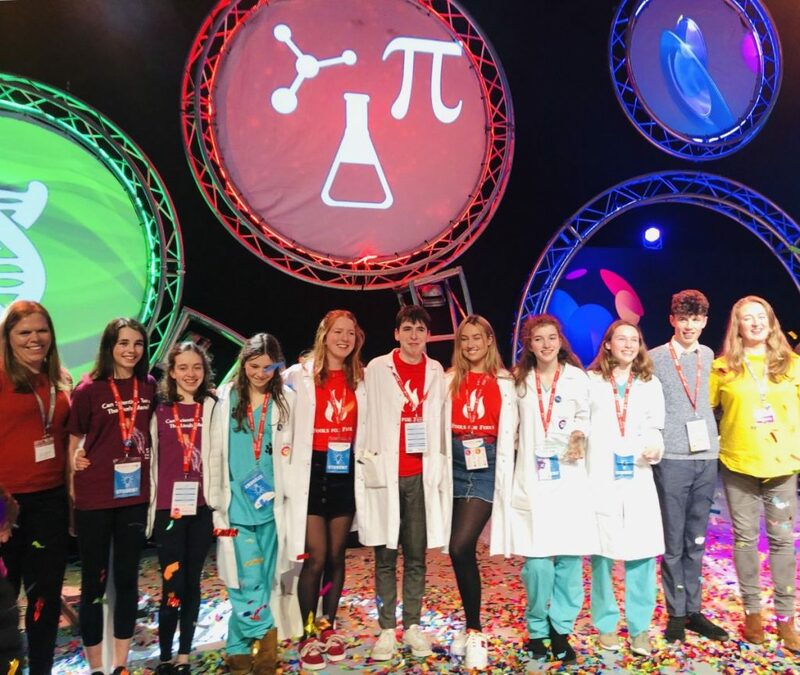 See you at BTYS 2020!” Ms. Clodagh Mitchell science teacher & project mentor.